I am not sure if I've seen a video in the top featured slot of the knowledge panel in Google before. 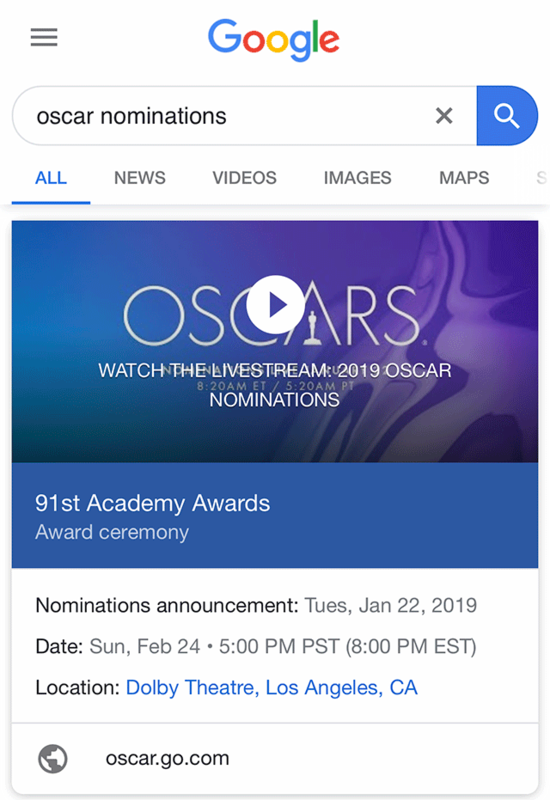 If you search for [oscar nominations] in Google on desktop or mobile, you will see a video thumbnail at the top. Click on it and it will play a video. Is this new? If not, how do you get a video in that spot?